Countryside Alarms offers Honeywell’s top of the line video surveillance systems and components for any size commercial, residential or multi-use building. Meet Honeywell’s new equIP Series Cameras, our latest range of cameras. With features and solutions designed to meet surveillance requirements in many different locations. 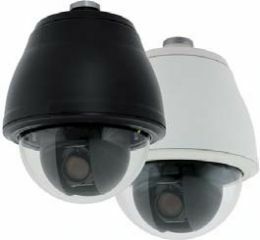 Honeywell’s latest addition to the HDZ series of iP-based products, the high definition, True Day/Night HDZ PTZ cameras provide extremely crisp video with up to 2 million effective pixels and either 22x or 30x optical zoom models for continuous surveillance in both outdoor and indoor applications. HDZ provides 1080p (1920×1080) resolution at full frame rate, a 360°continuous rotation function and a zoom lens which combine to give you the flexibility to clearly view a target area with desired width and depth. The 1/2.8” progressive scan CMOs sensor offers the latest in digital video surveillance technology with accurate color rendition through a wide variety of lighting conditions. HDZ also supports the ONViF Profiles specification for interoperability between network video products. View or download the HDZ Series spec sheet. Honeywell’s EQUIP® Series is an array of IP-based products that have an open architecture platform and utilize a single Application Program Interface (API). The API allows for a common user experience and integration with hybrid Digital Video Recorders (DVRs) and Network Video Recorders (NVRs). 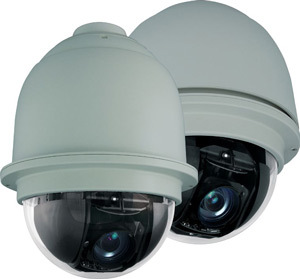 Honeywell’s ACUIX™ IP PTZ dome offers the latest in digital video surveillance. ACUIX IP is the combination of world-class video and leading-edge IP networking technologies to provide streaming MPEG-4 images in 4CIF, 2CIF, and CIF resolutions with rates up to 30 frames per second (25 fps for PAL ystems). The ACUIX IP PTZ dome offers multiple housings and high-resolution, auto-focus cameras for virtually any application. The color camera is available with an 18X zoom lens with 470 TVL (460 TVL PAL) of resolution. The Wide Dynamic Range (WDR) and True Day/Night (TDN) models feature 18X, 26X and 35X zoom lenses with up to 540 TVL (530 TVL PAL) of resolution. The 35X model also includes electronic image stabilization for improved image quality in unstable mounting situations. View or download the ACUIX IP PTZ spec sheet. solution to fit your surveillance situation. • High decoding capability for full HD viewing and recording. • View up to 16 channels simultaneously on your monitor (depending on your model). • Up to eight channels live view and play back at full frame rate 1080p resolution. • Up to 16 channels recording at full frame rate 1080p, 3MP, 4MP or 5MP resolution at maximum 8Mbps per channel. View or download the NVR spec sheet. 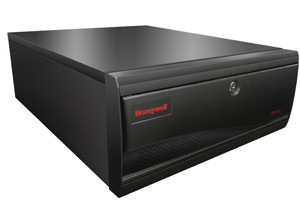 Honeywell’s MAXPRO® NVR Hybrid SE is an open, flexible and scalable Hybrid (IP and analog) video surveillance system. MAXPRO NVR Hybrid SE utilizes Honeywell’s HD cameras to offer a powerful high definition IP recording and security monitoring system for enterprise installations. It also supports analog cameras, enabling transition by keeping existing analog investment while transitioning to IP. View or download the NVR Hybrid SE spec sheet. Honeywell’s MAXPRO VMS (video management system) controls multiple sources of video subsystems to collect, manage and present video in a clear and concise manner. MAXPRO VMS intelligently determines the capabilities of each subsystem across various sites, allowing video management of any analog or digital video device through a unified configuration and viewer. The subsystems can be analog matrix switches or digital/network video recorders allowing any analog or digital input to be viewed on any analog or digital monitor. Users can benefit from using traditional analog systems and IP-network systems at the same time to ensure maximum use of their initial investments. These subsystems range from Honeywell matrix switchers, DVR/NVRs and 3rd party systems. Control of MAXPRO VMS can be through a traditional joystick controller, mouse or even through third party interface. The extremely powerful rules engine (Macro’s) allows customization of the system to respond and control in the best possible manner for the application. MAXPRO VMS is highly scalable so users can easily expand their video surveillance network from small to medium single instances to enterprise level supporting thousands of devices. Additionally, MAXPRO VMS includes integration with Honeywell’s Pro-Watch® security management system, Active Alert® and People Counter video analytics, as well as other Honeywell products and solutions. The feature-rich user interface truly offers a unified management platform across many disparate systems to further embody Honeywell’s concept of “Learn One, Know Them All.” View or download the MaxPro VMS spec sheet.